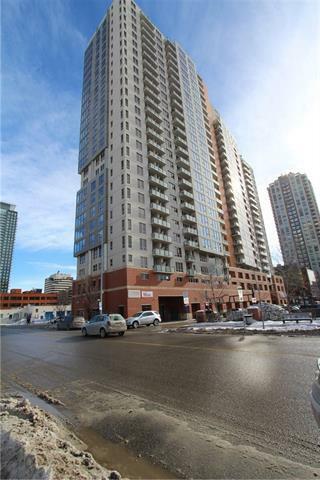 GREAT VIEWS AND LOCATION,DOWNTOWN LIVING WELL MAINTAINED CORNER CONDO UNIT FOR SALE IN DESIRABLE BELTLINE ,STEPS TO ALL AMENTIES.Great 2 bedroom Condo with Amazing Views of downtown and the ROCKY MOUNTAINS. 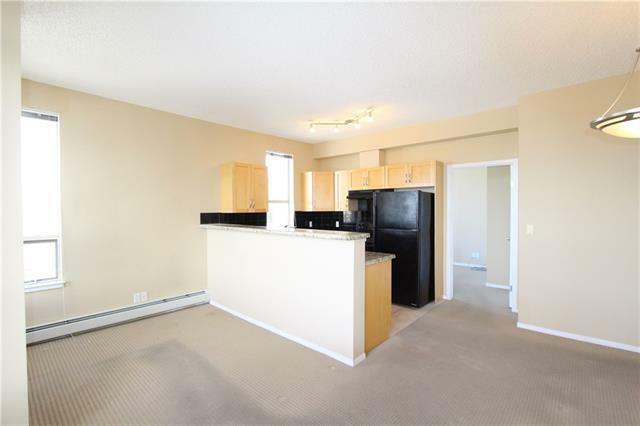 Cozy kitchen with Granite and Black appliances open to living room and dinning area ,ideal for entertaining family and friends .WELL SIZE BALCONY TO ENJOY MORNING COFFEE AND BBQS ON WARM NIGHTS. 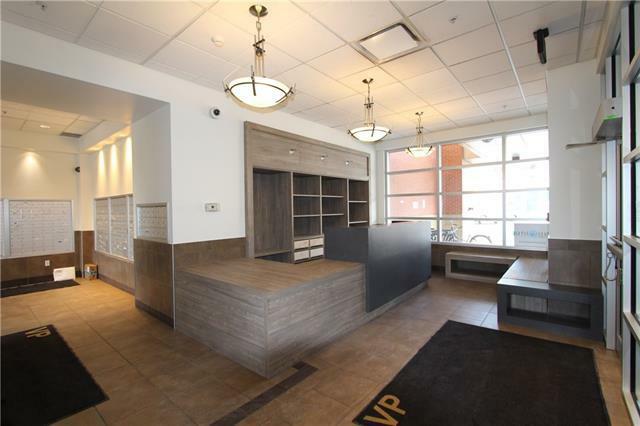 LAUNDRY IS IN SUITE, SPACIOUS WELL EQUIPPED GYM FOR YOUR USE ON 2ND FLOOR.THIS UNIT COMES WITH 1 TITLED PARKING, LOTS OF VISTOR PARKING FOR GUESTS IS AVAILABLE. TRANSIT, COOP ACROSS THE WAY, MANY RESTAURANTS AND SHOPS. 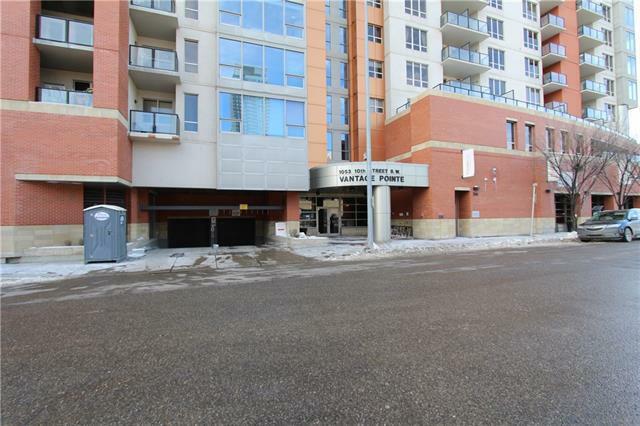 THE CORE MALL ,EAU CLAIRE AND BOW WALKING PATH ARE CLOSE BY ASWELL AS MANY TOURIST ATTRACTIONS. GREAT INVESTMENT FOR ANYONE . YOU CAN NOT BEAT THIS LOCATION.AWESOME FOR ANYONE, BOOK NOW TO VIEW ! Listing provided courtesy of Century 21 Bravo Realty. © 2019 CREB®. All Rights Reserved. Data supplied by CREB®’s MLS® System. CREB® is the owner of the copyright in its MLS® System. The Listing data is deemed reliable but is not guaranteed accurate by CREB®. The information provided is for consumers’ personal, non-commercial use and may not be used for any purpose other than to identify prospective properties consumers may be interested in purchasing. The trademarks MLS®, Multiple Listing Service® and the associated logos are owned by The Canadian Real Estate Association (CREA) and identify the quality of services provided by real estate professionals who are members of CREA. Used under license. The trademarks REALTOR®, REALTORS®, and the REALTOR® logo are controlled by The Canadian Real Estate Association (CREA) and identify real estate professionals who are members of CREA. Used under license. Data last updated: 2019-04-22T12:29:27.923.